The success of the Visual GAP program can be directly attributed to our focus and commitment to providing the highest quality GAP products and services available to banks, credit unions and financial institutions. With over 1,000 lenders nationwide, our administrator is a pioneer in the GAP arena and is committed to our client’s success. Excellent Service – Visual GAP provides an unparalleled combination of “high tech and high touch” service. Their staff is dedicated to providing the best service possible for both our clients and their borrowers. Phone calls are answered by “real” people trained to answer your question. 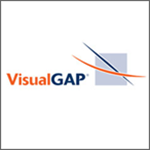 Industry Leading Technology – The VisualGAP web tool was the first web based application to assist with the sale of GAP coverage and continues to lead the GAP industry with many technology firsts. First “Graphical Illustration” tool to assist with the sale of GAP. First “end to end” GAP Administrative tool. First “real time” GAP claims status available for clients. First application of “Menu-Selling” for direct vehicle loans.